The Speckled Hackle fly is a simple combination of the Grey Hackle Peacock and the Brown Hackle Peacock as can be noticed in the wings. 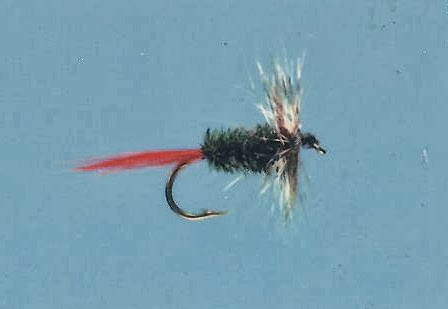 Years ago I met a fly fisher on the Clackamas River that was catching trout using several old fly patterns called the Brown Hackle and the Grey Hackle. He said that the hackle colors were very similar to many different insects found in the area--Mosquitoes, caddisflies and certain mayflies. Rather than tie both patterns, I decided to combine the grey and brown hackles into one pattern. This made the wing look like it was speckled with contrasting colors, hence the name the Speckled Hackle. 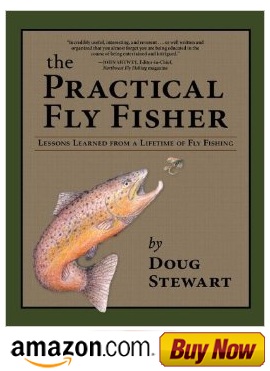 This fly is also a good dry fly searching pattern and can be used when there are few hatches or when there are hatches of several different insects. This problem is referred to as "Masking the Hatch."